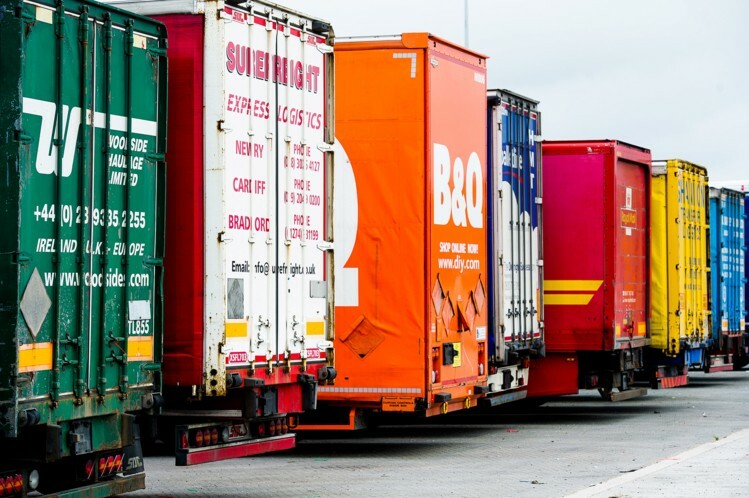 Third party logistics companies – ‘Overwhelmed’ doesn’t come close. “After thirty days of basking in the glow, everything fell apart. We’d been number one on Amazon, then they shut down our account completely. Our second biggest outlet, eBay, even dropped a lifetime ban on our company. It was a nightmare”. Meteoric growth is supposed to be a dream. So, what had gone wrong? The answers: Fulfillment, shipping, and logistics breakdowns. For high-grown e-Commerce, that trifecta can be crippling. To save you from the same fate, here’s everything you need to know about the history, types, advantages, disadvantages, and – of course – the selection of a suitable partner among third party logistics companies. A 3PL – short for third party logistics (sometimes called a TPL) – is used in logistics and supply-chain management to outsource part or all of a business’ distribution and fulfillment services. Before the early 1970s, transportation contracts only featured two parties, the shipper – think big retailers, manufacturers, or wholesalers – and the shipping carrier. As more “sellers” – who didn’t have logistics as their core competency – came to market, intermediaries (known as third-party logistics companies) rose to prominence. “A person who solely receives, holds, or otherwise transports a consumer product in the ordinary course of business but who does not take title to the product”. Although they do not hold ownership of the inventory, they are legally bound and responsible for performing the requested fulfillment activities of your e-Commerce company. Over the last decade, with the democratization of the internet empowering more retail both on and offline, the market for third party logistics companies has exploded. An estimated 86% of Fortune 500 companies and 96% of the Fortune 100 use these services. Solid providers act as your outsourced arm when it comes to receiving new inventory from your manufacturers and shipping it to the end consumer. Some also handle retail distribution and returns. Ultimately, they make sure your orders get delivered to your consumer buyer with the out-of-box experience you desire. When Should You Enlist a 3PL? Most merchants call too late, well after fulfilling orders has gotten in the way of their ability to focus on growing their business. Not to mention upsetting customers. Are you fulfilling more than 10 – 20 orders per day? That’s the volume at which you should start to consider the services of third-party fulfillment companies. As long as you have enough margin in your products to support a slight premium to your current shipping expense, an innovative partner can add value to your business by taking this work off your plate. Are you running out of storage for your inventory, or is your storage expense high? Many merchants don’t consider storage as a part of their fulfillment expense. If you are spending money on a facility, or seeing increases in your fees, get a quote from a third party logistics provider and compare. You might be surprised to learn your storage costs could be used better supporting fulfillment. Is your business growing or about to spike? If you know you are entering a period when order volume will spike (e.g.. seasonality, running a flash sale, or are on the cusp of a big marketing promotion, etc..), reach out at least four months in advance. 3PLs usually focus on one aspect of the logistics or supply chain process, yet the bigger firms may handle all of it while integrating seamlessly. This type specializes in the actual transport between locations a.k.a. shipping. For example, they could handle the inventory shipment between your factory and your warehouse, or between you and your buyer. For global freight, costs are centered on the transportation fee to import your product. They may also help handle export taxes and duties. Traditional parcel transportation includes DHL, FedEx, UPS, and governmental bodies like the USPS. Same-day delivery is normally handled by local couriers like ViettelPost, GiaoHangTietKiem (Vietnam), Postmates and UberRush. Additionally, new marketplaces for transportation exist like Flexport, Freightos, and GrandJunction. As you grow, this is the most common type of 3PL, as they handle storage, shipment, and returns. Warehouses come in many shapes and sizes, and the market is active with innovation thanks to Amazon firmly establishing a two day, same day and next day delivery expectations. Thanks to international warehouses, even global customers feel the same. What delivery timeframe do your consumers want? The faster they expect their orders, the more warehouse locations you will need in the network. A warehouse has to be geographically located close to the end consumer in order for it to be delivered faster than two days. You’ll also need enough inventory to distribute among the warehouses in a network. Do you have a pricing model from your warehouse provider that gives you transparency and predictability? Do you have a pricing model that changes as you grow? Identify all fees upfront and ask about returns management and any extra services you might require like “kitting” (putting several products in special packaging) or destruction. Do you want to use your own carrier? If you have negotiated shipping rates that are better than a warehouse could get, it is important to know if the warehouse partner will accept them. Sometimes, warehouses will be able to negotiate better rates than individual businesses, as they aggregate their volume for better discounts. Do you want your packages fully insured both during delivery and return as well as while in storage? Again, get specific with the number. Up to $100 or beyond? Is it insurance or simply the carrier-included liability? What time does your warehouse stop fulfilling that day’s orders? If orders are placed after the warehouse cut off time, then they won’t go out until the next day, thus impacting the delivery date the consumer expects. Do you want a refund or credit if shipments don’t get fulfilled on time? Does your warehouse credit you for every broken or lost item? Ask for the service-level guarantees your warehouse partner offers so you can understand how much liability you might have for your goods. When outsourcing logistics, it’s vital to ensure you and your provider can sync with your existing inventory management system (IMS), order management system (OMS), order processing software, and/or warehouse management solution (WMS). When an order comes in, the software(s) should automatically know what product needs to be shipped, where to ship it, and how to update inventory levels. However, the buck stops with you… especially in your customer’s eyes. Providers like Shipwire, Rakutan, and Fulfilment by Amazon (FBA) handle warehousing and distribution on a major scale. You can also find a regional provider like Boxme. Most e-Commerce companies won’t work with financial or information based third party logistics companies until they hit the eight or nine-figure mark in revenue. With that said, they are important to mention, as they provide valuable insight towards the overall industry and current trends. These types of 3PLs help optimize your entire logistics network, owned and via third parties, freight auditing, cost accounting and control, and tools for monitoring, booking, tracking, tracing, and managing inventory.